The terminal sliding mode (TSM) control method has become a hot topic in recent years due to its special merit on finite-time convergence and good robustness. One critical issue is how to balance the singularity of control law and the fast convergence of closed-loop system. 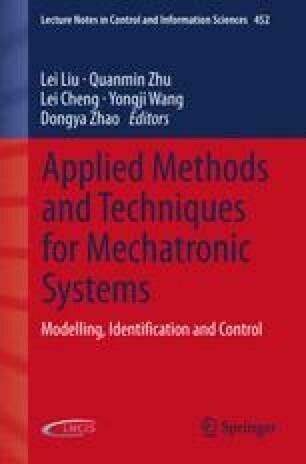 The chapter reviews the research history of the singularity and introduces the recent advance on nonsingular and fast terminal sliding mode (NFTSM) control method. The synthesis of NFTSM controller synthesis is based on a newly proposed nonsingular fast terminal function and a terminal attractor with nonnegative exponential coefficient. Both theoretical analyses and computer simulations have proved its effectiveness under the condition that plant uncertainties are bounded. The authors greatly appreciate the NSF of China with grant number 51205228 for the support to this research.